In cooperation with Puori, we are currently looking for 10 testers of the product Puori M3 Magnesium. 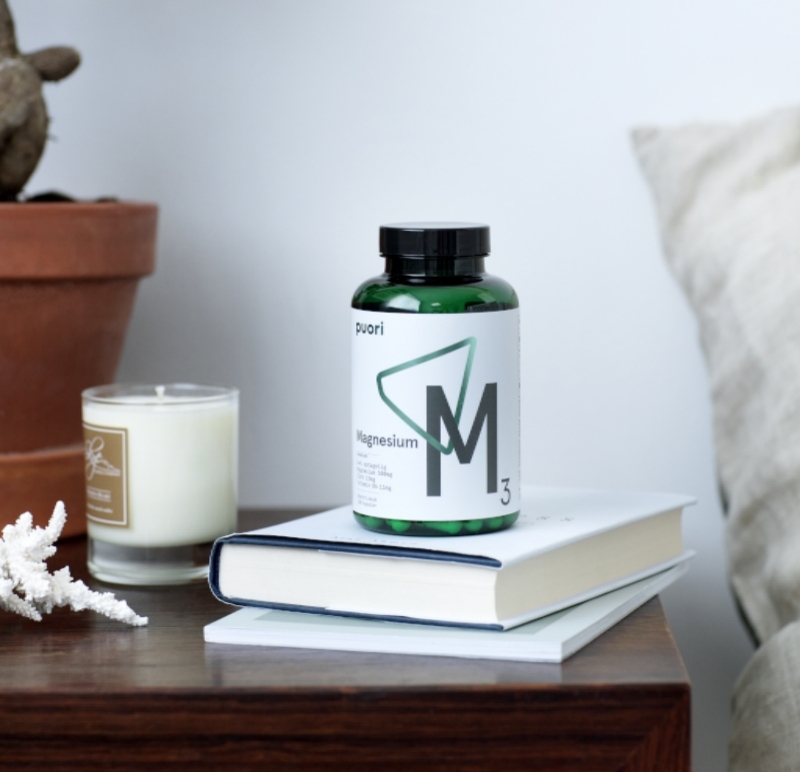 Do you currently suffer from muscle cramps or bad recovery after long tough rides we offer you a very interesting opportunity to try the magnesium supplement Puori M3. Ten testers will be selected for this test. We will start the test mid april and continue for a few weeks in order for you to really get the chance to try the effects. We want you to use the product according to instructions that will follow. We would like you to focus on the recovery benefits of this type of product. Both in terms of faster recovery from muscular fatigue as well as sleep quality during the night. Natural Supplements For you. For ourselves. And for a healthy future. Quality is easy to say, but hard to produce. Our business was founded in 2009 in Denmark. We believe that health is an ever-evolving journey centered around making quality decisions within the four cornerstones of a good life: a healthy diet, physical activity, recovery, and balance. Puori provides the nutritional support you need to help bridge the gap between the most common vitamin and mineral deficiencies. We don’t sell quick fixes but we help people understand their origin and show them how to achieve their natural potential. Where the modern diet falls short in nourishing us with the nutrients we need, we provide the purest natural supplements for people, for ourselves, and for a healthier future. We handpick our natural ingredients ourselves and carefully monitor everything from start to end. It’s important for us to handle every aspect of our production. That’s the only way we can stand behind every single product we make and guarantee responsibly made, high-quality natural supplements. About the product Magnesium in bioavailable forms mixed with zinc, vitamin B6 and malic acid for optimal effect. We use organic chelated magnesium because it is easier for the body to absorb organic forms of magnesium so you get the full benefit of M3. Zinc and Vitamin B6 work in synergy with magnesium to sustain processes like energy production to help improve athletic performance. We excrete many electrolytes during the day, especially during exercise, and they need to be replenished every day, as a large proportion are lost through e.g. sweat. The more you sweat, the more you deplete your magnesium levels. Without consistent intake, magnesium levels are quickly depleted, and the negative effects are noticeable within a few weeks. It takes a longer time to replenish the depleted magnesium stores than keeping them filled. Some might stop supplementing with magnesium since the initial positive effects on sleep and recovery aren’t noticeable any more. Because now the magnesium levels are replenished, and the you aren’t going from low to adequate, but remains at full level, where the effects aren’t perceivable. Then, the magnesium levels are depleted, performance and sleep takes a hit, and re-supplementation will give you noticeable effects again. However, supplementing on a consistent basis gives you the permanent effect of magnesium, even though you might not notice them, and your body will perform and function better with a consistent intake. Magnesium has an acute effect, and will work within 30-60 minutes of consumption. Effects to notice: Improved sleep, less muscle twitches/cramps, more mental energy/less fatigue. I was given this to try out and I really think it’s had a positive effect for me. On the first night I definitely noticed a deeper sleep. I took the recommended dose every night before bedtime. In this time I was training for the Prudential Ride100 cycle. I do feel it gave me a better edge with regards to endurance – I founds my muscles suffered far less than usual. I did notice some very vivid dreams when taking this though.